Tip $15 and get Album download 2-pack: "Lollipop Motel and "Everyone's Invited!" Momeri : We're rocking out with our tambourines. Momeri : Crossroads Light of Day show was great. Joshua is looking forward to next one. Counselor4444: Great show! The kids (and adults) loved it. Momeri : And Joshua is here. Momeri : No strange shaking...other than from Jason. bobdid: Hi, Mom & Dad are watching! Momeri : Shoutout to The Thing. The only bald superhero. Momeri : were good. hearing y'all great. Download of Parents' Choice Award winning album "Everyone's Invited!" Download of family beach rock album "Lollipop Motel"
Album download 2-pack: "Lollipop Motel and "Everyone's Invited!" 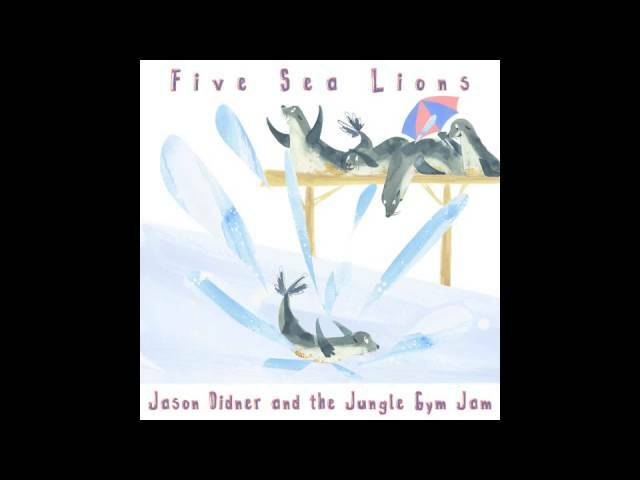 Jason Didner and the Jungle Gym Jam is an award-winning "kindie" band that brings a true rock-n-roll spirit to songs that emphasize kindness, active play, imagination and love of learning. The band's debut album "Everyone's Invited!" was honored with the Parents' Choice® Approved seal and was named CD Baby Editor's Pick as it entered the online music retailer's top 10 kids/family album charts. 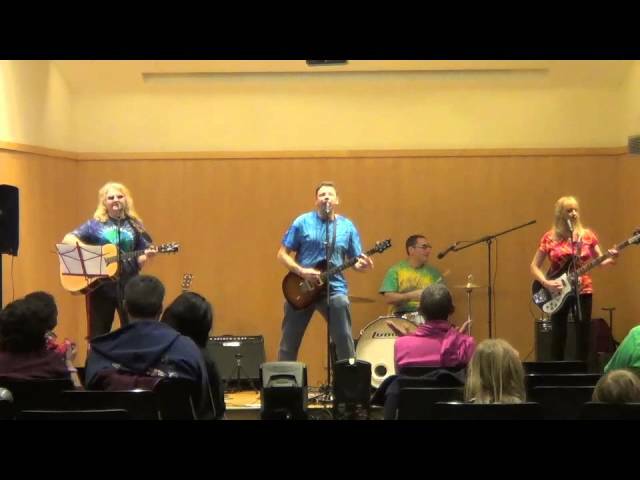 The singer and his band, based out of Montclair, NJ have been compared to Bruce Springsteen, The Ramones and even "Elvis Costello in a particularly good mood." Families in and around New Jersey and New York have found themselves in a good mood too at the public libraries, school functions, street fairs and public parks where the band performs a lively and interactive concert with lots of call-and-response, and opportunities for young audience members to portray the characters in the songs using the puppets the group provides. Prior to forming the Jungle Gym Jam, Jason scored a YouTube and radio hit with "You Can't Get There from Here in Jersey," a comedy song that was featured on NPR's Car Talk.